Folks, this is a placeholder for the how-to I am going to write about how to create a feed with feedburner, why that is valuable, and then how to use that to allow your blog readers and the rest of us to subscribe to your blog so that your blog's popularity grows significantly. Also, look for a post after this talking about how the tools in feedburner's feeds can increase your blog's traffic in an amazing way. Put your blog address into the blank box in the middle of the light green field in the center of the feedburner home page and click the next button. 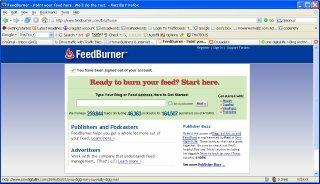 If you don't have an account with feedburner you will be asked to create one here. Just follow those instructions. Confirm your Feed Title and the feed name you are going to create with feedburner and click "activate feed". At this point, you will be presented with the link for people to use to subscribe to your feed, and you will be given the opportunity to take advantage of all of the extras that feedburner has for managing your feeds. The extras will be a separate How-to for a later time. Since we aren't going into the extras, just click the "Skip directly to feed management" link to finish and go to the feed management page. 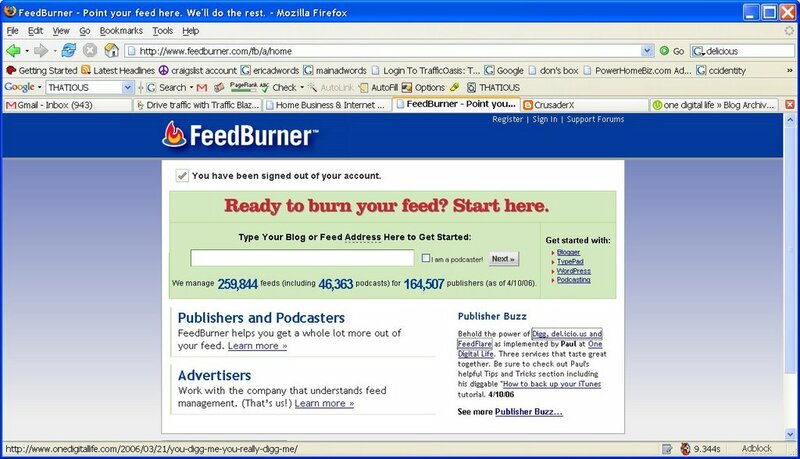 Now you have a working feed with feedburner. Just take the feed you created (mine is feeds.feedburner.com/crusaderx) and paste a link to it in your blog template called "subscribe to feed" so that visitors have a simple way to subscribe to your feed. Come back later for the complete how-to.